I’ve been trying to avoid mentioning politics on Indie Untangled because, no matter which direction you lean in, if you’re looking for a refuge from it these days, it’s very hard to find. I myself am of two minds — I go online looking for distractions, only to wonder why people are posting cat photos when there is SO MUCH going on that it’s impossible to keep up with it all. Among that sea of color was the work of some talented indie dyers, including Lisa of Vermont-based White Birch Fiber Arts, who I interviewed for a recent article about politics and crafting that appeared in the journal of the Craft Industry Alliance, an organization that brings together hundreds of craft businesses to share strategies and best practices. 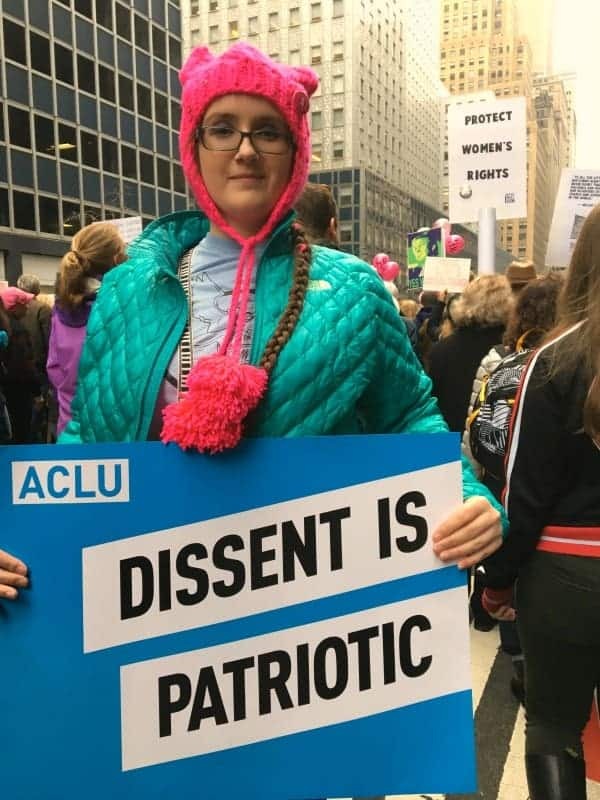 There was also Denise of Yoshi and Lucy, a new Brooklyn-based dyer who offered her Vibrant colorway at a discount in honor of the march. Along with being proud to see knitting in the spotlight, I enjoyed the individual expression in this mass movement. 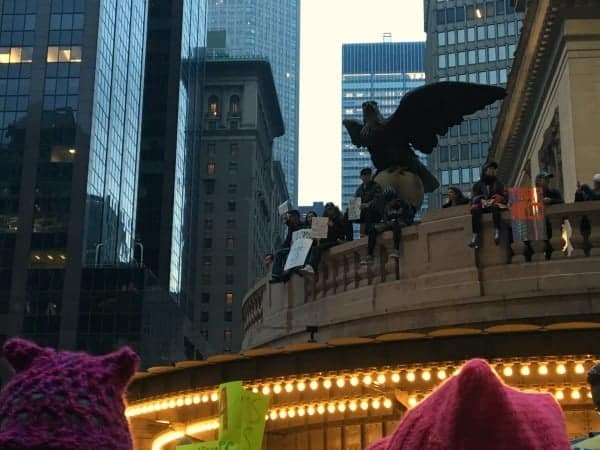 Throughout the photos, and the pussyhats I spotted in person in New York City, there was a huge variety, from the standard knit-flat-and-seamed version to those with intricate stitch patterns. I’m sure you may have an idea of what I think about current events because I’m publishing this post, choosing not to ignore the activism or express my disagreement with it (and I think there are better ways of doing that than calling out the entirety of the women’s movement for “vulgarity, vile and evilness,” as one yarn shop in Tennessee did). 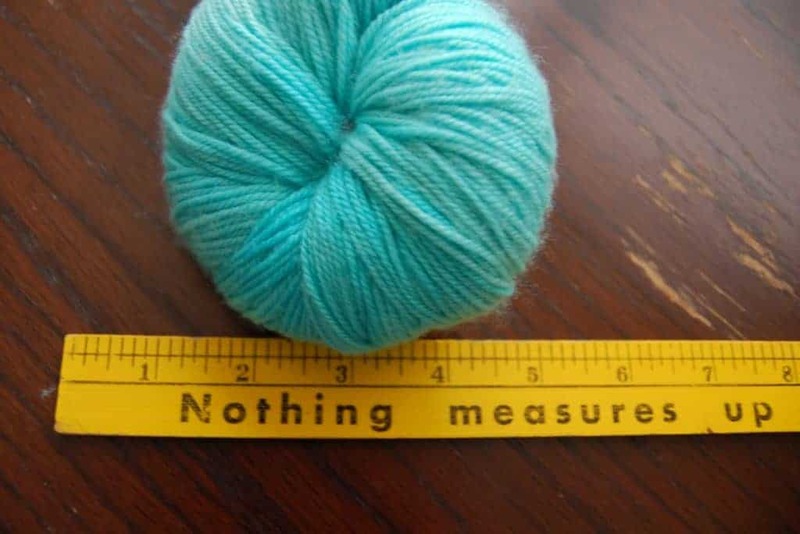 But, just as how it’s impossible to go anywhere without coming face to face with what’s going on in the world, it seems that this moment in knitting needs to be taken off the needles and worn proudly.